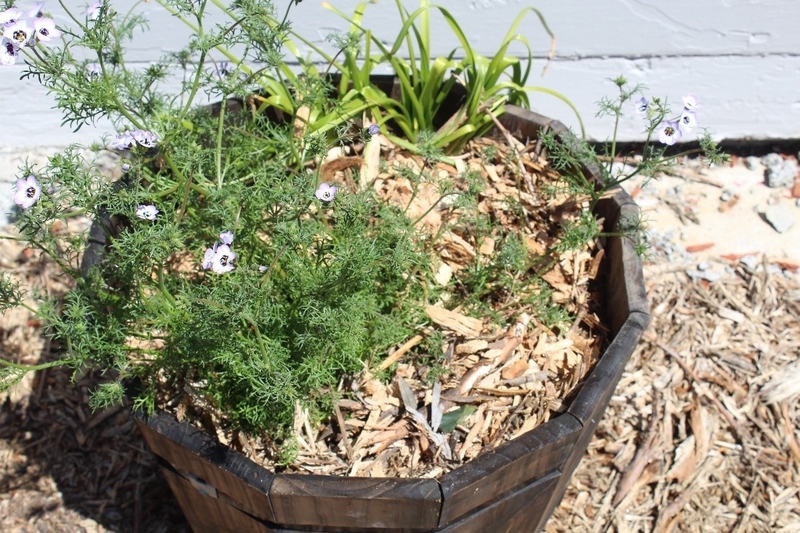 Recently I posted a blog on mulch. The mulch man cometh again. It looks like it might be a little less than 25 the first cubic yards. Generate an Internet search on “Free Mulch” and you'll find sites in your area. It's a good thing I got more mulch, (oh did I mention it's free?). After I spread out the first 25 cubic yards on my yard there were noticeable areas that were not covered. I needed more! One of my biggest concerns after my concrete was removed (all 4,000 sq. ft.) was that the clay soil became a muddy sticky gooey nightmare after any kind of rain. The mulch over the newly exposed soil gave me something to walk on other than mud. It was instant gratification! Other benefits from mulch include weed suppression. Pull up your weeds as best you can including the roots and seeds. Pile on a good 2” of mulch over your soil. Add more mulch if you see more weed activity. The idea is you want the weed to be 'where the sun don't shine'. To further suppress the weeds first cover the ground with cardboard or newspaper (not the shiny fliers) then apply the mulch-this is called sheet mulching. Another big benefit of mulching is water savings. I seem to recall a drought. And scientists predict severe type weather swings will be more common. Drought, heavy rains, and more drought, a meteorologist smorgasbord of weather. Save water by mulching your garden and trees. Soil temperature reduction is another benefit of mulching. The healthy microbial critters in your soil will enjoy a stable temperature and stay around doing what they do best: decomposing plant material, aerating and moving the soil, and enabling nitrogen take up in plant roots. Mulch also acts a natural fertilizer. The organic material contains nitrogen and other minerals for your trees and garden plants. Plus it decomposes at a slow steady rate, so no fertilizer salt burns on the roots. Mulch also provides attractive ground cover. Some people prefer the wood chip paths around their garden. No need to make walkways of cement. 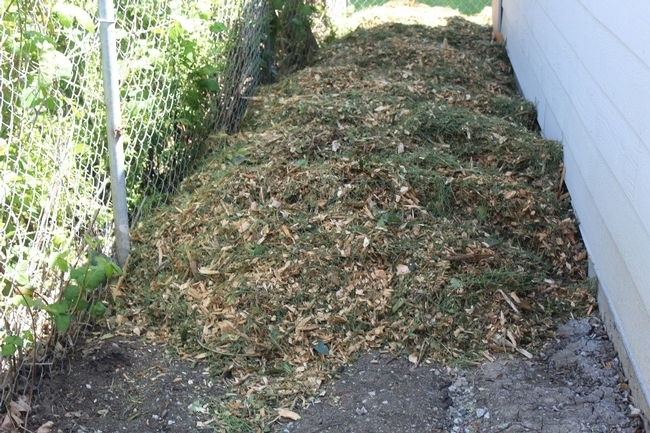 Mulch can be used for erosion control and preventing water from running off of sloped lawns or gardens. Those areas could be planted with plants needing more water. Fresh mulch smells good, and oh did I mention it's free?